The question. 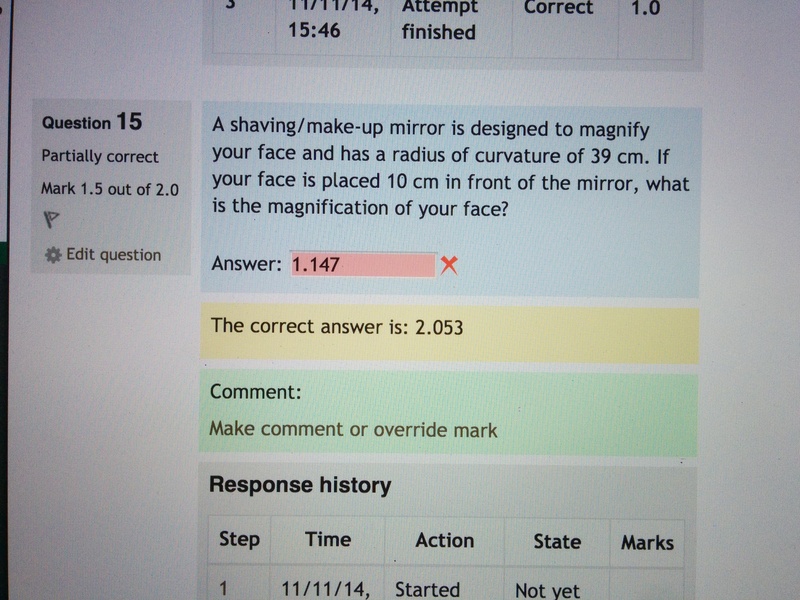 I asked student to solve for magnification. Here’s the correction for the above problem. 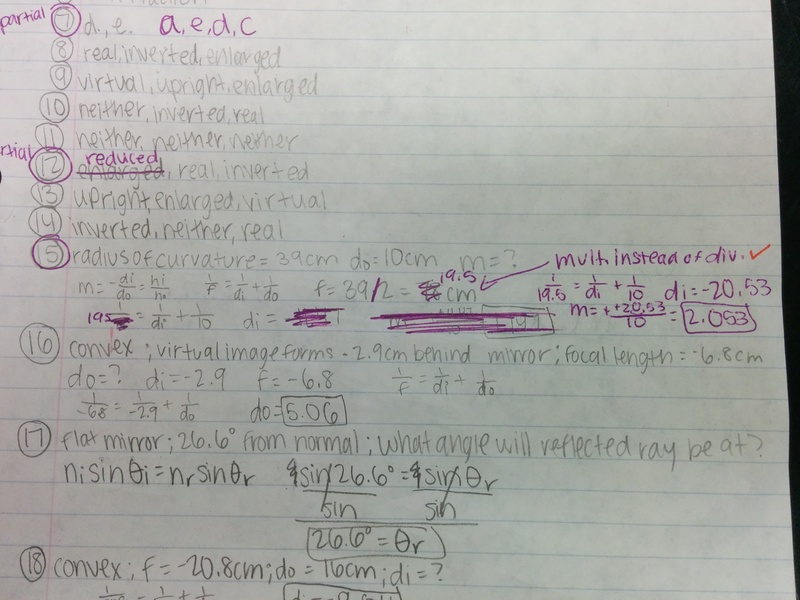 She solved for the focal length incorrectly at the start of the problem but all other work was correct. This kid mostly got the correction right — they did indeed forget a negative sign. 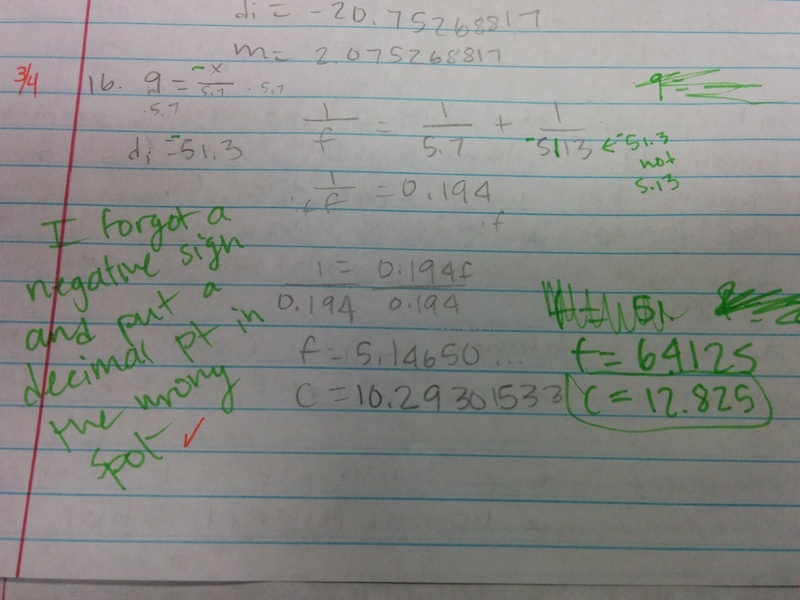 I felt it was bit too nitpicky of me to say that the “decimal in the wrong spot” is really a unit conversion problem. Examples of good test corrections. I recommend building in about 20% of the test time to dedicate to corrections. 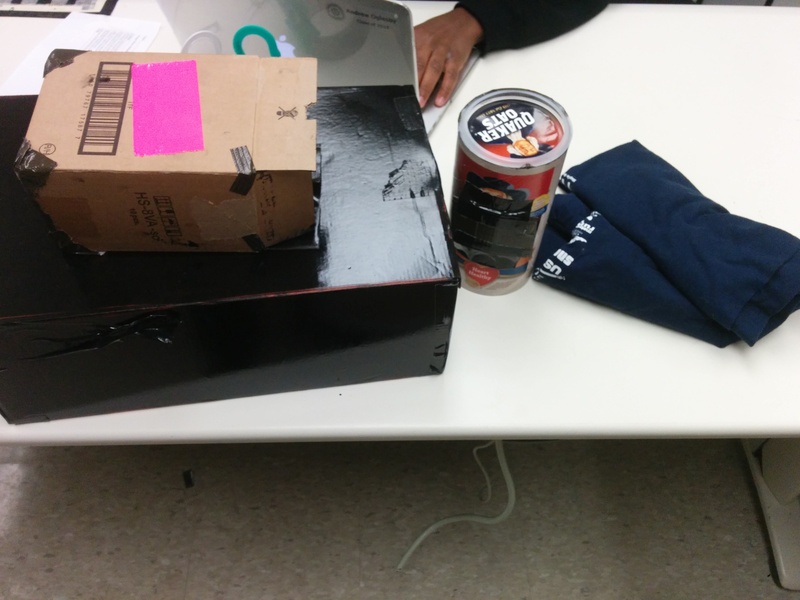 That is, I build tests that should take 50 minutes plus 10 minutes of corrections. We went to the darkroom today in one class and took a test in the other two. Above are a few cameras and dark cloth that were left behind. Darkroom days are so hectic I forgot to take any other pictures.